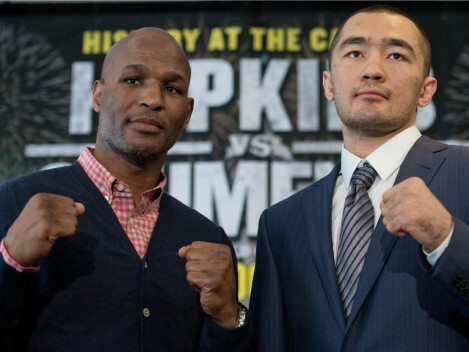 Bernard Hopkins vs Beibut Shumenov: Can Shumenov Stop The Alien? 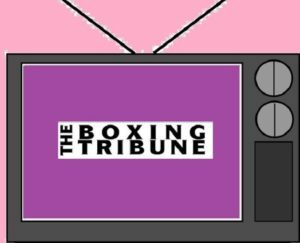 When Bernard Hopkins (54-6-2, 32kos) steps into the ring this Saturday against Beibut Shumenov, (14-1, 9kos) for the pair’s World Light-heavyweight unification title fight, he will be attempting, once more, to break records that he himself has set, during his age-defying run at 175 pounds. 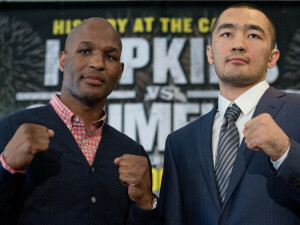 Hopkins and Shumenov will both be putting their respective Light-heavyweight world title belts on the line, when they clash at the DC Armoury, in Washington, DC on Saturday, April 19th. Hopkins will be defending his IBF belt, while Kazakhstan born Shumenov, will be staking his WBA title in their unification showdown. 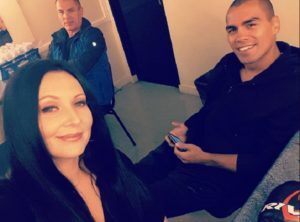 For Shumenov, the fight represents the chance to raise his profile closer to the level of Adonis Stevenson and Sergey Kovalev, as a win over the living legend, that is Bernard Hopkins, would be a huge boost for Shumenov. 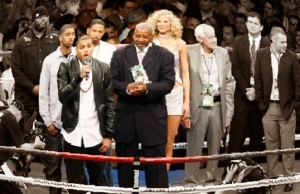 Hopkins meanwhile, is attempting yet again, to break his own records, by becoming the oldest boxer to defend a world title, and in addition to that, the oldest man ever to unify world titles. Now at 49 years of age, Hopkins’ career at light-heavyweight has seen him post a series of almost otherworldly victories over proven fighters who are young enough to be his sons. It’s hardly any wonder that he has recently dropped his previous nickname of ’The Executioner’ in favour of ’The Alien’. In recent years, Hopkins has seemingly dodged the cold hands of age, and has been performing between the ropes like a man half his age. It is hard to overstate just what a feat Hopkins has achieved in recent years at 175lbs. 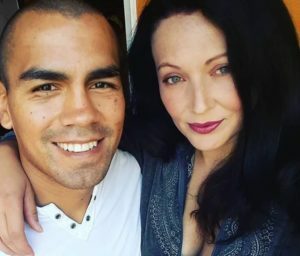 He has taken a career that hinted at greatness at middleweight, with a record world championship reign of over ten years, plus a record twenty defences, and turned it into something wholly different and unique. Only the great Archie Moore can compete with Hopkins in terms of achieving such longevity, and at the highest level, and Hopkins has now beaten Moore, in regards to age. In the course of his career, Hopkins has developed from a knockout artist, (many people mistakenly believe that Bernard was never in the habit of knocking people out) into a skilled technician, who uses the boxing ring like a chessboard. Hopkins was never as naturally gifted as the likes of Roy Jones Jr. or James Toney, but while they have both seen their talents and abilities erode with time, leaving each man just a shadow of the fighter he once was, Hopkins has seemingly not only avoided the same erosion by time, he has also continued to develop in the ring. Hopkins is a master of making every move and punch count inside the ring, this along with his almost uncannily preserved reflexes and mobility, make Hopkins the boxer he is today. In addition to his counter-punching and defensive ability, Hopkins has the rare gift of being able to dictate the pace and movement of a fight to such a degree, that at times, it is almost as if his opponents is mesmerized by him. No matter what happens to Hopkins career from now on, his greatness is assured and his records are unlikely to ever be broken, other than by himself. Yet Hopkins realises his achievements, and is pushing for more, with a view to a big showdown with WBC world Light-heavyweight titleholder Adonis Stevenson, if he can get past Shumenov first. Hopkins has stated that his ultimate aim is to be the oldest ever-undisputed world champion that would mean also tackling big punching Sergy Kovalev. No easy task, even for an Alien. Shumenov is a very capable fighter with a good amateur background, but he has had less fights, than Hopkins made defences of his world middleweight title. Shumenov has fought Gabriel Campillo, Montel Griffin, and Byron Mitchell, with his hardest fights, and lone career defeat so far, coming against the skilful and cagey Campillo, which in itself doesn’t bode well for Shumenov against Hopkins. Hopkins showed in his last fight against the tough Karo Murat, that he is still able to exchange punches when he wants to and fight at a lively pace. ‘The Alien’ should have far too much skill and experience for Shumenov, yet, with any ‘aging’ boxer, there is always the danger that one night the wheels will come off , leading to disaster. Will Hopkins’ age defying act suddenly lose its magic overnight against Shumanov? The answer to this question carries with it the eventual outcome of the contest. While we watch Hopkins and admire him for his achievements, there remains the possibility that sooner or later he will push his body too far in his quest for forever- improving greatness. Even Greatness is eventually doomed to fail. However, Shumenov with his slowish hands and one-dimensional style is unlikely to be the man who finally returns Bernard Hopkins to mortality. Everything points towards a decision win for Hopkins on Saturday, then, onto Stevenson, and even perhaps Kovalev. Hopkins’ improbable story may yet become even more outlandish over the next few months, but we shouldn’t be surprised, after all, he is an Alien.